Manage VIP User Requests as they deserve to be ! If a caller is a VIP, all his User Requests will have the priority set to critical. First version only works with Simple Ticket Management. First this extension change the form for a Person. A new attribut VIP (yes,no) is define to identify if a person is a VIP. 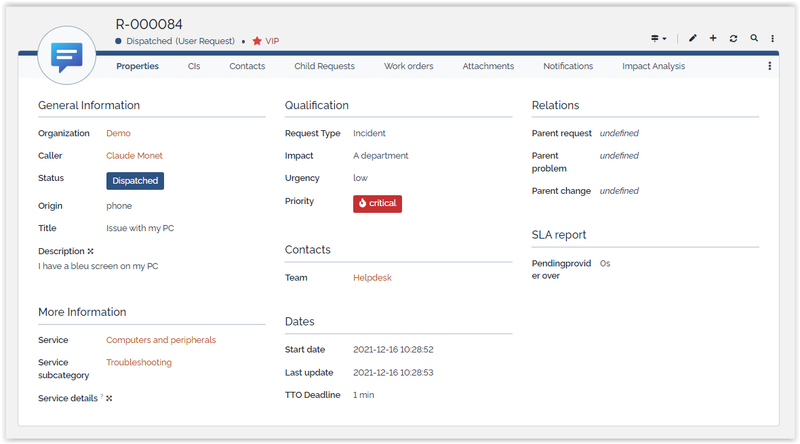 When a User Request is created the attribut VIP is updated automatically according the value set for the corresponding caller.